After the crushing defeats of 1898 in the hands of the US Navy and the loss of the remnants of the Spanish Empire, the Armada was plunged into disarray. The seven years that followed the battle have seen Spain slowly recuperating of the neglect and speculation that have sent gallant men and their antiquated ships to their doom. 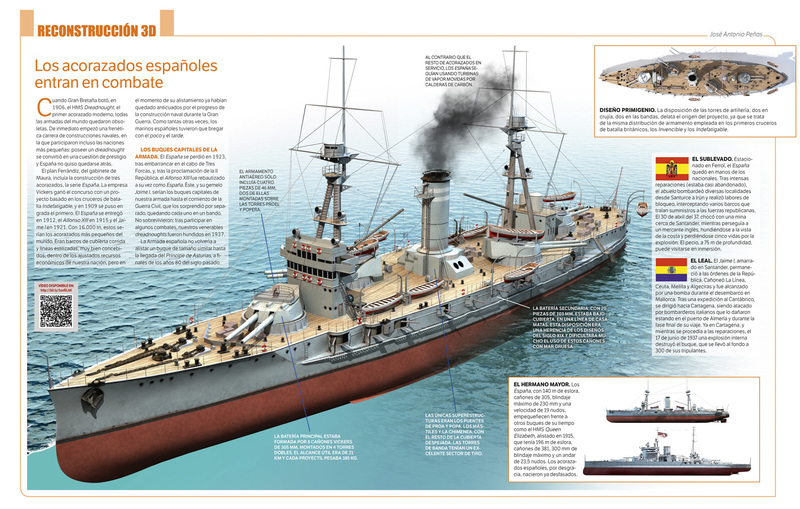 1908 was a crucial year, as the Cortes approved a realistic naval modernization plan, crowned by the building of three modern dreadnought battleships. 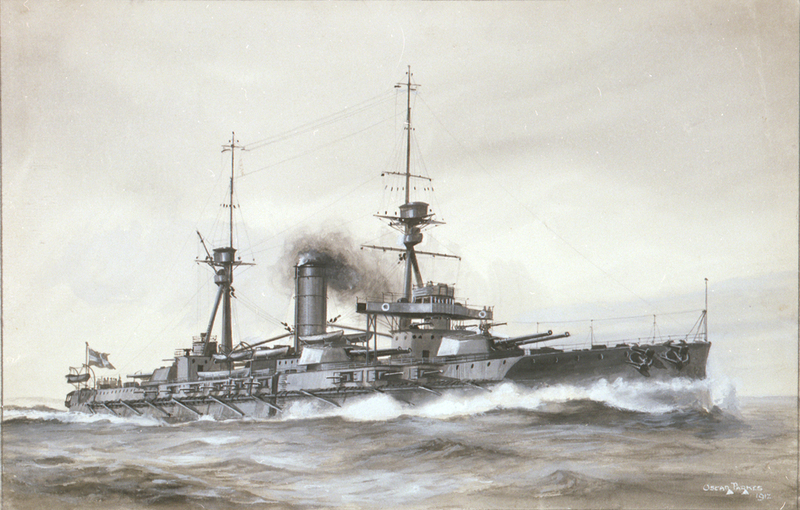 The España class would remain the only Dreadnought and last battleships in service with the Spanish Armada. They will serve in the Great War, and the Interwar year (one lost in 1923), before being divided between belligerents of the Spanish Civil war, in which the last two were sunk. Therefore Spain entered WW2, neutral, with no capital ships and half its previous cruiser force. Nevertheless, the class was interesting in many aspects, as a British-Spanish quite unite design. 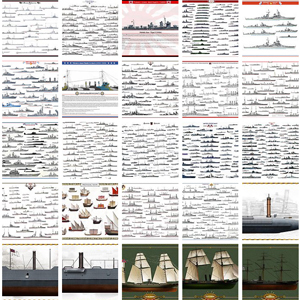 As stated above, the 1908 naval law defined an ambitious plan, and the three dreadnoughts were top of the list. As a reminder, the last modern Spanish battleship, the Pelayo, was a French-built 1886 barbette battleship typical of the country and era with a lozenge-configuration and single guns of large caliber and long range (340 mm). In home waters when the 1898 war broke out, the Pelayo was left to defend Spanish coasts with a few modernized antiquated ironclads used as coast guards. 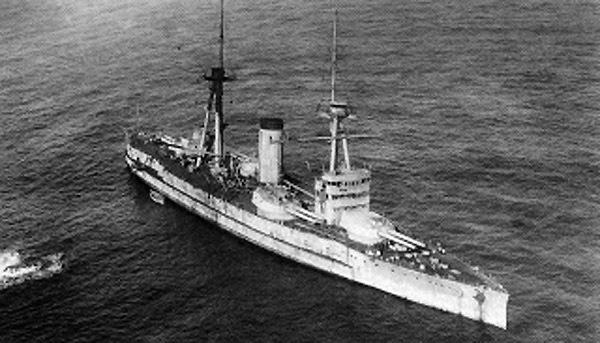 In 1907, the Pelayo was no longer relevant at the age of Dreadnoughts. However, Spain had neither the know-how or capabilities to built domestically modern battleships from scratch. An effort was already undertaken in 1903, the naval plan calling for seven 15,000-metric-ton battleships plus three 10,000-metric-ton cruisers. Needless to say, Spanish economics did not allow such ambitions. 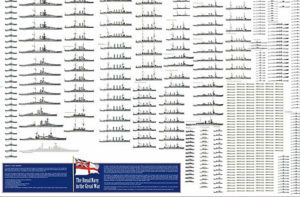 The Fleet Plan of 1905 still proposed a smaller fleet of eight 14,000 t battleships, but government instability also killed it. A more moderate plan was at last proposed under the new minister of Marine in 1907, Antonio Maura which chose three 15,000 tonnes battleships, less than half of the previous plan. It seemed more realistic and was voted the next year, ending in the 1908 naval law. This delay, from 1903 to 1908 was crucial as it spared Spain the construction of pre-dreadnoughts. Instead, the Armada saw the experience gained with the world’s first commissioned all-big-gun battleship, HMS Dreadnought and USS South Carolina. -The Armada needed to defend its three main naval bases: Ferrol, Cádiz, and Cartagena. -The new ship must deal with budgetary constraints, tailored for the frail Spanish economy and industrial sector. -The third constraint came also from the existing dockyard facilities. The choice of building the ship rather than purchasing them in Great Britain was essentially economic. Shipbuilding in Spain was way cheaper. Funds were lacking any way to build either larger battleships or larger dockyards. 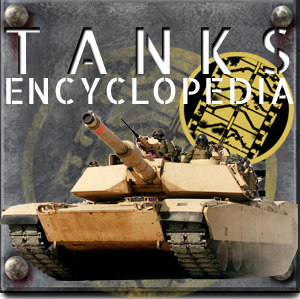 The final design was to come with a compact design, retaining the maximum firing effectiveness and adjusted armor protection. 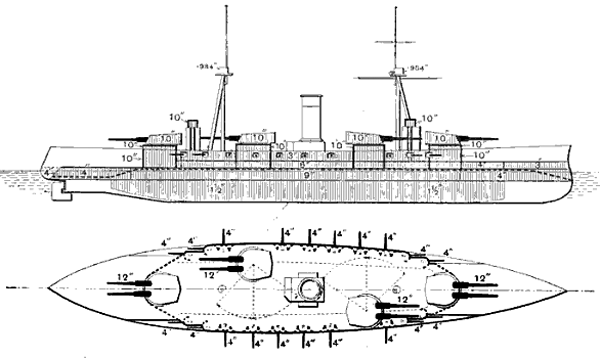 The Spanish Navy started discussing these requirements with Armstrong Whitworth and Vickers already in 1907 and on 5 September 1907, Vickers provided a proposed a 15,000-ton design armed with eight 12-inch guns. This was quite influential and became the basis to draw the final requirements issued on 21 April 1908. To avoid rebuilding existing docks, they were built shorter than if a fully rational design were possible. The main belt was 6ft 7in deep and extended between the end barbettes. The Bullivant net defense was fitted. For the end 12in turrets, the arcs of fire were about 270°, and for the echelon turrets, 180° and 80°; the guns were 24ft 6in above water, maneuvered by hydraulic power, with all-round loading at any elevation. The Vickers-type directors were in the lower top on each mast. All three ships were launched in succession in the same yard, SECN, Ferrol, which had the largest basin in Spain. 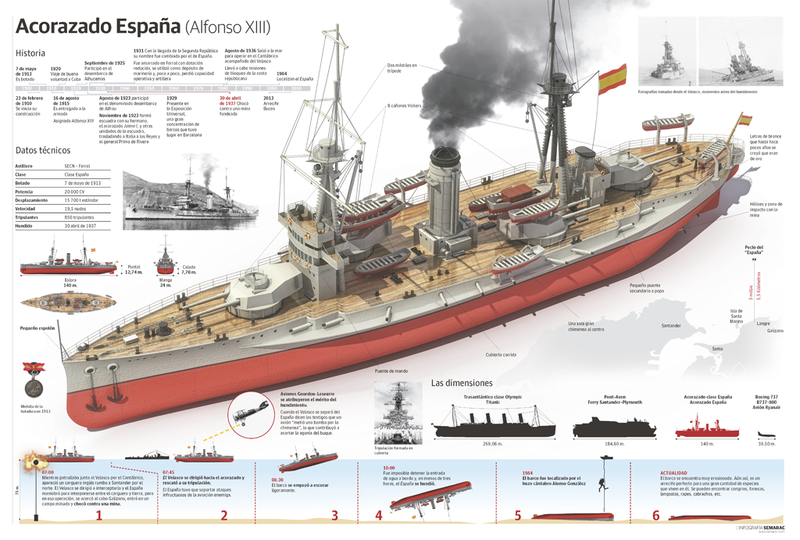 The first dreadnought, España was laid down on 6 December 1909, launched 5 February 1912 and completed on 23 October 1913. Alfonso XIII followed on 23 February 1910, launched 7 May 1913 and completed on 16 August 1915. So she entered in service when the war was ongoing. However Jaime I, laid down on 5 February 1912 was launched on 21 September 1914 and was ready to operate at sea in 1917, but completion was delayed by non-delivery of material from Britain during wartime, until 20 December 1921. 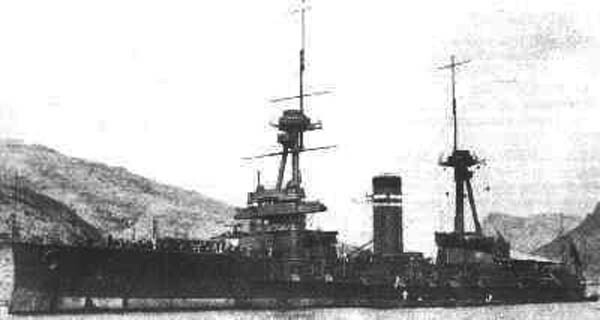 After WW1, Alfonso XIII (renamed España in April 1931, as the latter was lost on an unchartered rock years before) was laid up at Ferrol in 1934, refitted in 1936, to fight and be lost during the civil war. Jaime I was also modernized, took part in the civil war and suffered a devastating accident in, 1937 magazine explosion followed by a devastating fire. She was discarded on 3 July 1939 waiting to be scrapped. 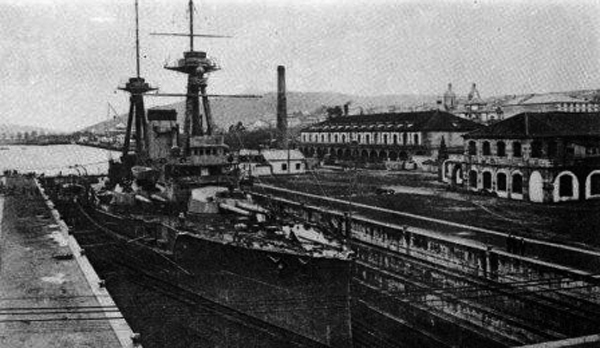 Laid down at the Sociedad Española de Construcción Naval shipyard in Ferrol on 6 December 1909, she was completed on 23 October 1913 but she had to wait for her sisters to be operational and form the 1st Squadron of the Spanish fleet. 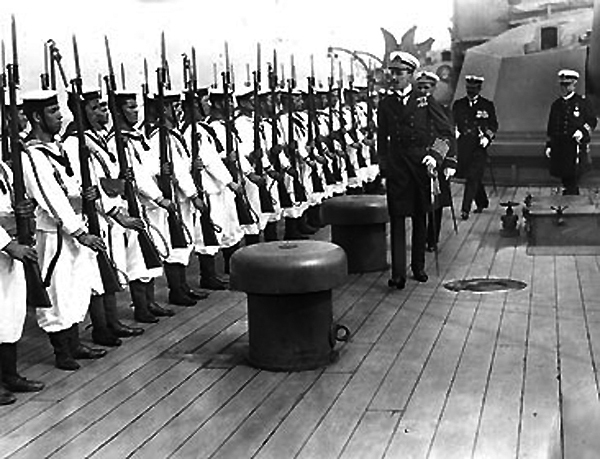 Spain remaining neutral, the battleship España sailed in mid-1915 crossed the Atlantic to represent Spain at the opening ceremonies for the Panama Canal, Portugal being the only other nation, with the USA to spare ships for ceremonies. In 1920 the battleship also participated in the quatercentenary of the discovery of the Straits of Magellan in Chile and was the first Spanish Armada ship to cross the Panama Canal. In January 1921, however, she ran aground in off Puerto Montt on her trip back and was refloated and able to carry on. However her hull was badly dented on 150 ft (46 m), some rocks puncturing holes 8 ft (2.4m) and smaller between frames and on the starboard side. Divers worked over the clock to pour concrete so that she can sail to Balboa, where was repaired before making her return trip. hen back, she was sent to the training Squadron and also provided fire support to the Army in Morocco during the Rif War. However, one of these coastal shelling ended badly. When she was off Cape Tres Forcas (near Melilla) on 26 August 1923, she ran aground. The Spanish Navy hired salvage companies but both declined after studying the wreck. 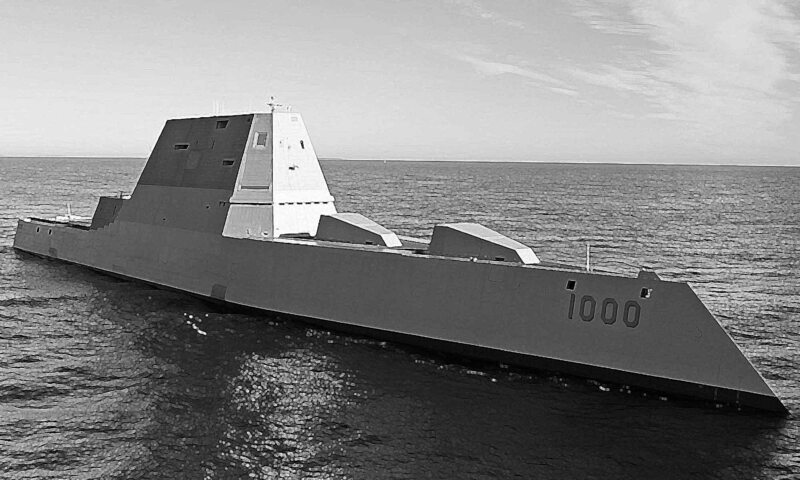 Therefore the Navy had to drop these plans but try to remove as much weight as possible and raise her later. The guns were the first removed followed by armor plates, machinery, ammunition stores. Eventually, her hull was sealed, partially drained but she has to wait for equipment from Italy and meanwhile was severely toasted by several violent storms. A new survey showed her damaged hull could not be raised anymore, broke in two in November 1924. The decision was taken to leave her there. The guns recovered were recycled in coastal batteries, still extant in 1999. 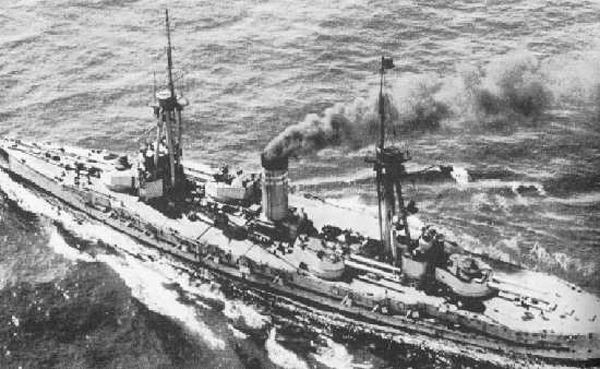 Alfonso XIII was launched on 7 May 1913, completed on 16 August 1915, after the war has erupted. She was not therefore hit by shortages. She joined the 1st Squadron of the Spanish fleet, and in August 1917, assisted in the suppression of general strikes in Vizcaya and Bilbao. Postwar cruises to show the flag, including Annapolis and Maryland. She also supported the Spanish Army on the coast of Morocco (Rif War), shelling insurgents positions south of Melilla, allowing an assault by the Spanish Foreign Legion. In August the next year, she took part in the first Spanish combined arms operation and in September 1925, shelled positions defending the Al Hoceima landings, a decisive Franco-Spanish operation in the Rif war. She became the flagship of the local naval force, and in April 1931 after a change of regime, she became part of the Spanish Republican Navy, and renamed España. The latter had been wrecked indeed in 1923. 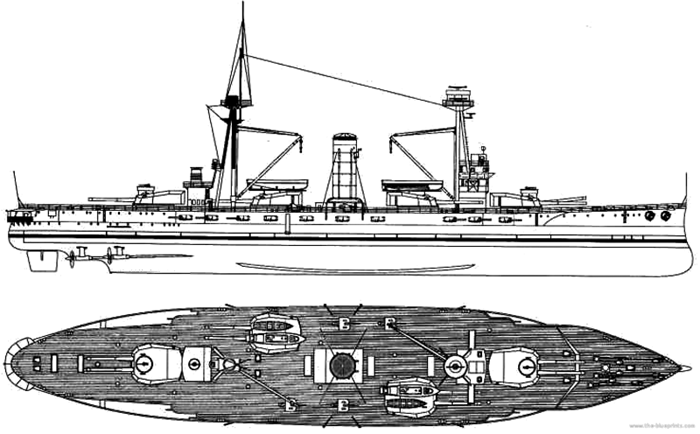 In 1934 she was laid up at Ferrol and while the Spanish Navy discuss rebuilding she and Jaime I into German Deutschland-class like light battleships: They would have received brand new oil-fired boilers, their hulls would have been lengthened, the main battery rearranged on the centerline and secondary battery replaced by superstructure0 mm (4.7 in) guns. But the budget was sorely lacking for these grandiose plans, and the final modernization was far more limited, accepted in 1936. The plan called for some superstructure and fire director changes, additional anti-aircraft guns were fitted, oil-fired boilers, the main guns being elevated for more range. After Franco’s coup in July 1936 she was still in Ferrol’s drydock. While the Army landed in Ferrol sided with Nationalists, sailors who supported the Republicans took control of the ship soon joined by the cruiser Almirante Cervera. Both ships started an artillery duel with the Nationalist-held shore batteries and the Nationalist destroyer Velasco. The engagement lasted for days and wrecked the whole harbor, while both Republican ships were badly damaged. Their crews eventually surrendered. 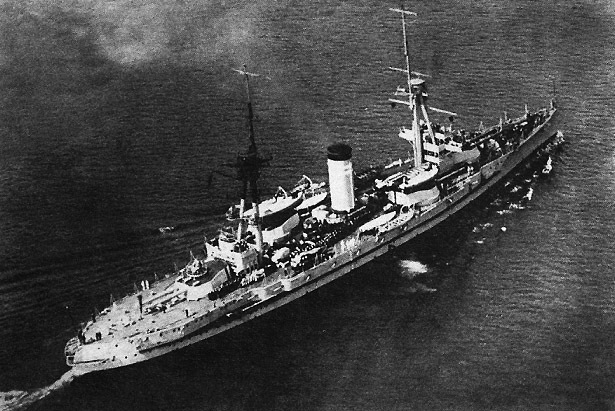 España entered a long refit and sailed for Nationalist fleet. This task force comprised the Almirante Cervera and Velasco, which started to captured or sink Republican and foreign merchant ships. One of the most valuable prize for España was the freighter Mar Báltico loaded with iron ore on February 1937. She also interdicted the British steamer SS Consett to enter Santander. However the same day, España struck a mine (led by Nationalists but not chartered) and sank off Santander. This took three hours, leaving time for the crew to be rescued by Velasco. 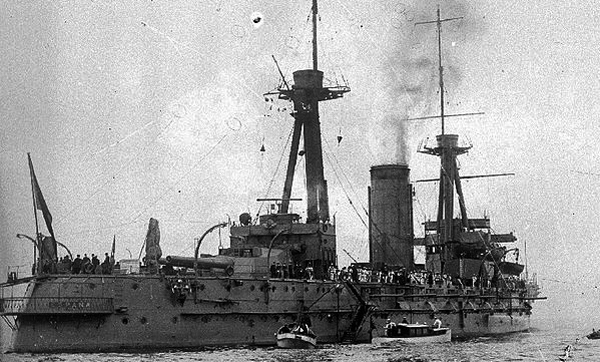 Jaime I was the last Spanish dreadnought to be started in Ferrol in February 1912 and launched on September 1914, but work stopped completely as critical components from Great Britain were now blocked because of the war. The Royal Navy indeed requisitioned all available hardware and ceased deliveries. Although the ship was ready to go to sea by 1917, but she was not completed until well after the end of the war, on 20 December 1921. 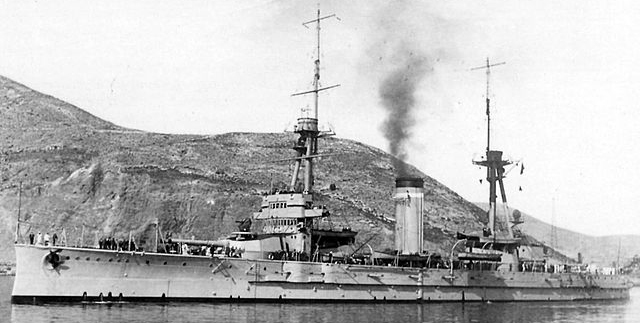 She was part of the 1st Squadron of the Spanish fleet and first saw action in the Rif War, shelling insurgents coastal battery and troops (which returned fire) in 1924. When the civil war broke out, she fought with the Republican Navy. Jaime I and other ships were alerted or Franco’s coup and mutinied against officers sympathetic to the Nationalist cause. The ships, therefore, stayed under Republican control but poor discipline and distrust towards officers that were not killed hampered the ship capabilities. Nevertheless soon Jaime I bombarded Nationalist strongholds like Ceuta, Melilla and Algeciras. In the latter harbor, she also sank the Nationalist gunboat Eduardo Dato, which was burned down to the waterline (later refloated, repaired and returned to service). 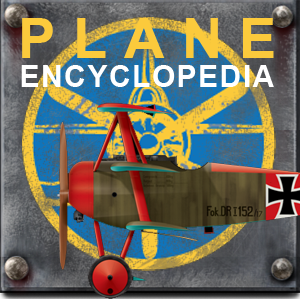 Jaime I was however lightly damaged by a Nationalist air attack at Málaga on 13 August 1936, when a bomb hit the bow. In May 1937 after she had been grounded and conducted in drydock for repairs, she was attacked again. Three bombs hit her but the damage was limited. In June at Cartagena an accidental internal explosion and fire took place, which wrecked her. Suspicions of sabotage were also strong. But the end result was she was declared not worth any repairs and was discarded on 3 July 1939, and broken up later in 1941. In 1940, her the guns were recovered to be reused in the Gibraltar strait coastal defense batteries D9 El vigia and D10 Casquebel near Tarifa. They survived until the 1980s. Beevor, Antony (2000) The Spanish Civil War. Fernández, Carlos (2000). Alzamiento y Guerra civil en Galicia 1936–1939. Vol.1. Moreno de Alborán y de Reyna, Salvador (1998). La guerra silenciosa y silenciada: historia de la campaña naval durante la guerra de 1936-39. Vol.3.